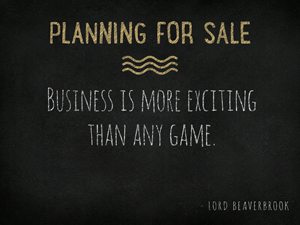 Planning for sale of business raises various legal issues making legal counsel imperative in the process. However, individuals often seek an attorney’s help too late in the selling process, after a potential buyer or seller has been identified, and financial terms have been settled. In some cases, sellers receive unsolicited inquiries from potential buyers or intermediaries and negotiations have been entered into, without the sellers exploring other options. In cases such as this one, parties often execute agreements, such as confidentiality agreements, without an attorney having the opportunity to review them. Zeller corporate attorneys have great experience in buying and selling businesses on a regular basis and can guide clients while protecting their best interests. Our lawyers’ experiences and knowledge of dealing with buyers, sellers, and intermediaries in the past is an invaluable resource for clients. Once a seller has decided to sell a business, a series of steps must be taken to ensure a successful transaction. The planning process includes an examination of the target buyer, assessment of the need for and selection of an intermediary, preparation of marketing materials, and implementing employment arrangements to key employees. Our attorneys understand Understand sellers’ motivations, and apply that understanding to selecting the right type of buyer. We will guide you through this process to secure a successful sale of business. When it comes to planning for sale of a business, Zeller corporate attorneys have great experience in buying and selling businesses on a regular basis and can guide clients while protecting their best interests. Our lawyers’ experiences and knowledge of dealing with buyers, sellers, and intermediaries in the past is an invaluable resource for clients.